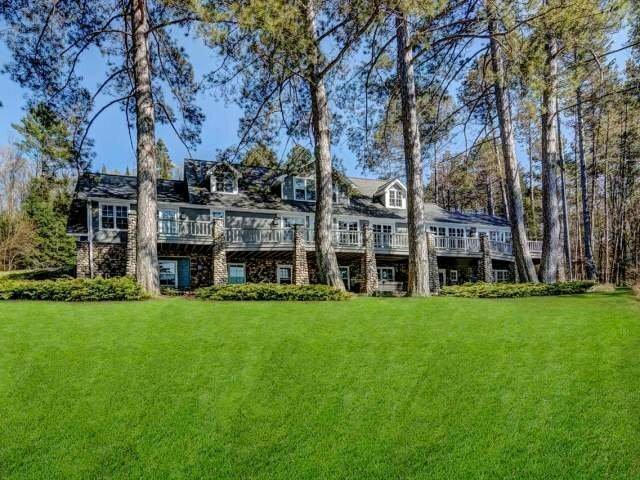 CISCO CHAIN ESTATE - One of the premier properties to ever be offered for purchase in all of Northern Wisconsin. Choose a superlative and this incredible estate will meet and exceed it. Nestled on the shores of Mamie Lake, part of the pristine Cisco Chain of Lakes with 1977 feet of water frontage and 65.7 acres of select cut forest. The vintage main residence built circa 1930, features 7 bedrooms, 6.5 bathrooms and has been maintained to perfection. The guest quarters / caretaker's home has been recently renovated. Outbuildings include a 132 x 30 garage/storage building, 2 car detached garage w/ studio apartment, workshop, greenhouse and garden barn. The grounds are truly spectacular and include a pool with waterfall that rivals any botanical venue imaginable. There is an added plus of a wonderful waterscape leading to a premier trout habitat. Words do not adequately describe this offering. Contact us for your private viewing today.